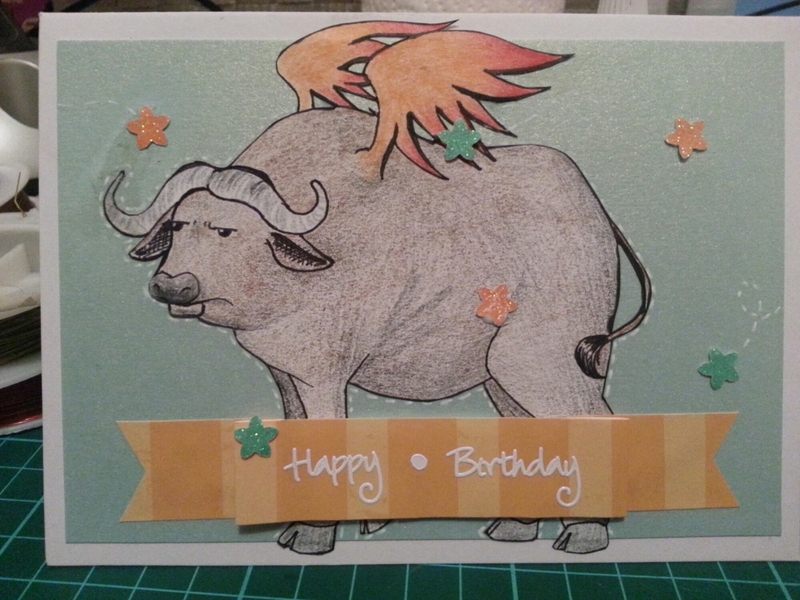 It’s a buffalo… With wings. My father in law likes spicy things and we didn’t think we’d be seeing him so soon, so I had to come up with something quickly. Not bad for about an hour at one am. The buffalo in my reference photo looked grumpy. July is a very busy month. I have birthdays and dinners and parties and even a friends engagement party. So there’s plenty of cards to make and keep me busy. Maybe I should just sleep through it. As you may know I like headbands and I look for inspiration everywhere. 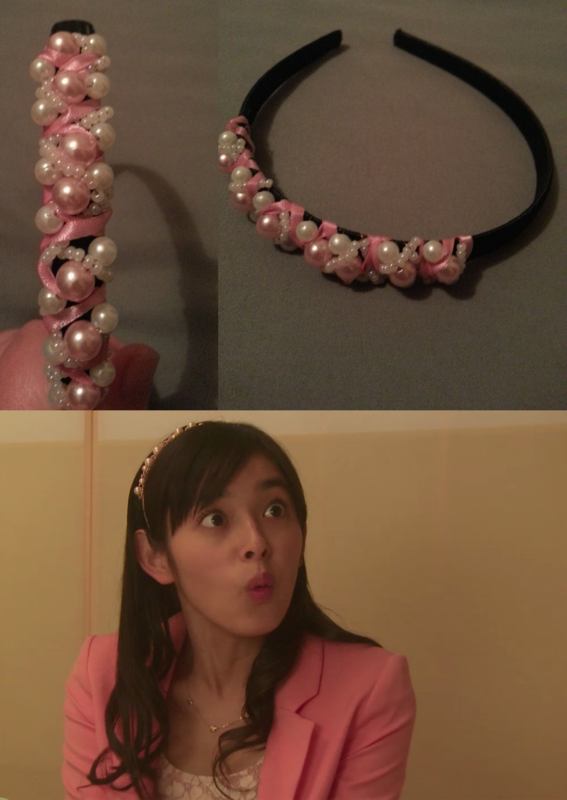 This time I saw this lovely headband while watching some Japanese Shows and tried to create my own version. One thing I think I find most helps when making something inspired by but not copied is to not look at the source while making. Figure it out in your head while looking then put the picture away, So, I knew the headband had pearls, hints of pink and the design went from the top to one side. If you pick out the basics, you can create something that will develop as your own instead of being limited by strict rules. The ribbon wasn’t on the original at all, but I decided that’s what I wanted. This wonderful creation was invented by a YouTuber named PootlesPapercraft. 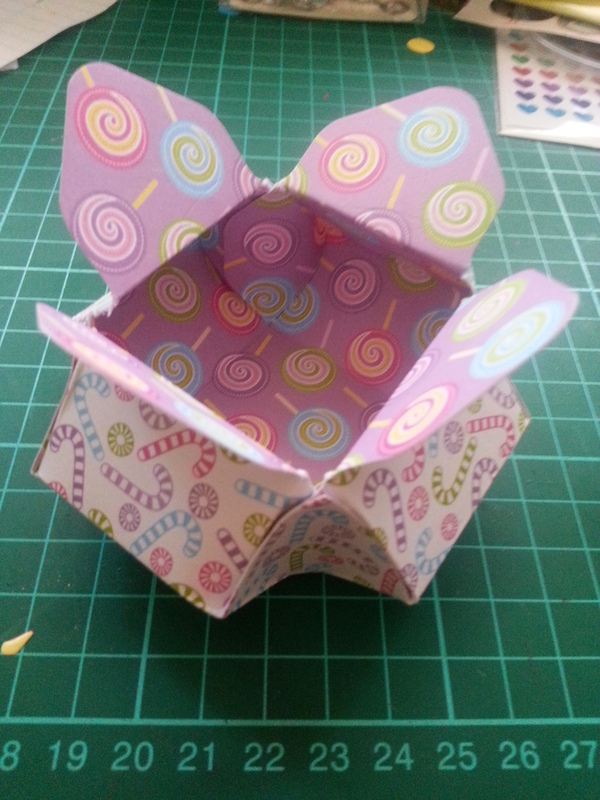 She makes beautiful Boxes and has innovative ideas, as well as makes some lovely cards. She is also associated with a jewellery company, where she creates a locket, then creates a matching card inspired by the charms in the necklace. Don’t forget to check out her other videos, too. Pretty much threw this card together. 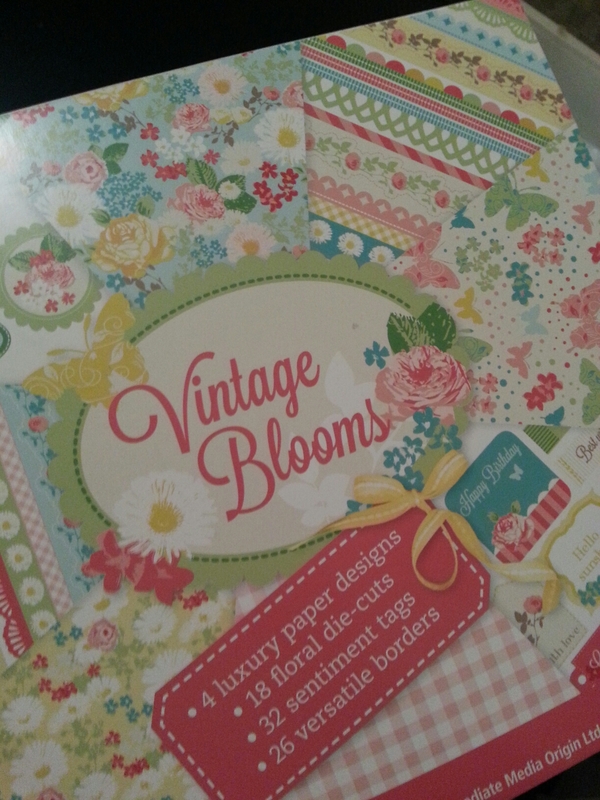 I was bored and so played around with the patterned paper I got with yesterdays magazines. 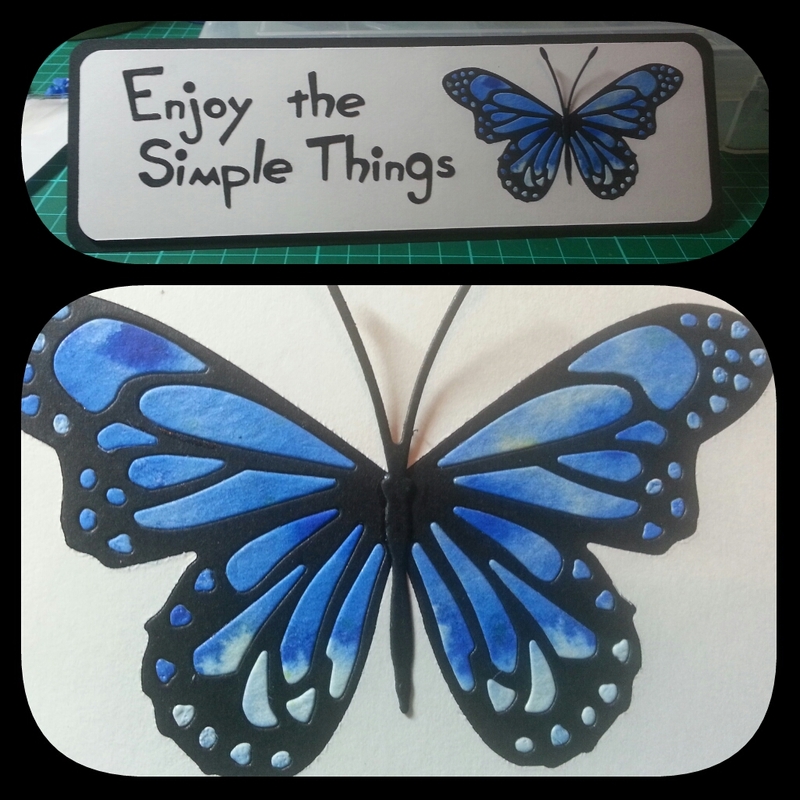 Most of it was pre-cut including the butterfly and the red printed square. I added the yellow as it brought out the yellow of a flower that I liked in the background paper. But I covered one and there’s a half one peeking from the top, so that seems silly now. 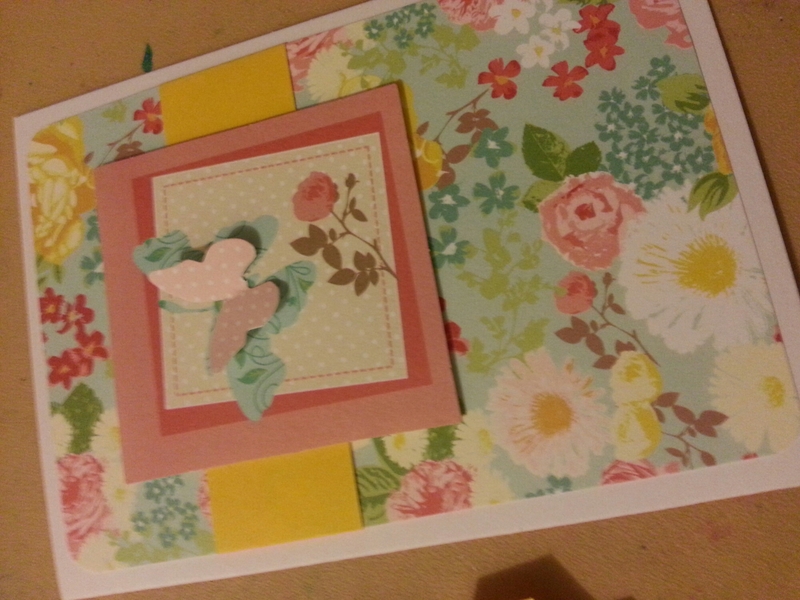 I was thinking that sometimes you don’t need to put occasions on the front of the card. 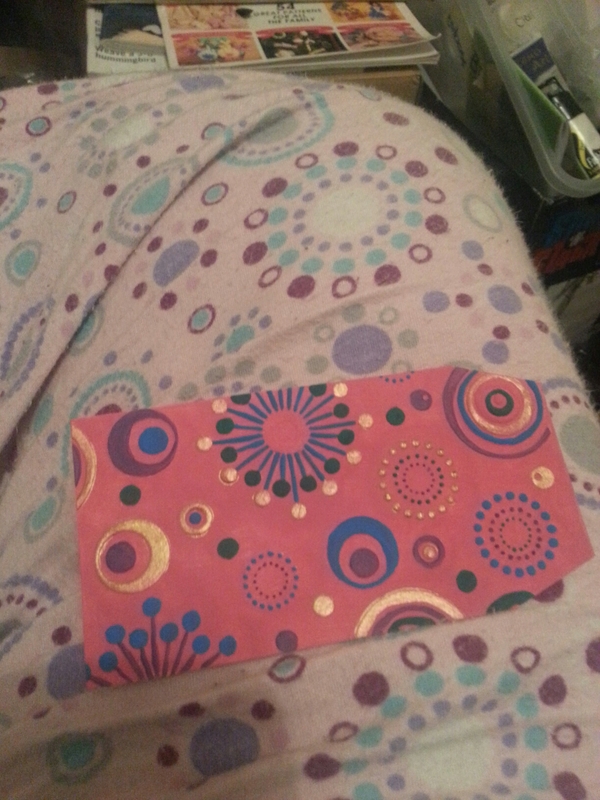 I could make blank cards and write inside as necessary or attach a sentiment at the time. This is my craft room. It’s full and junky looking but it’s my place to be. We recently moved and I have more than double the space from before… So that was squished in somehow. So, kinda had an idea like this. But this developed quite different. I think I more imagined silver black and red on a white background but I had white ink and a small black canvas and went for it. The image was too small for the canvas so I filled the background with the same image, but smudged one part with my hand. Luckily it was still only slightly damp and I smudged the rest with a baby wipe and I prefer it that way. 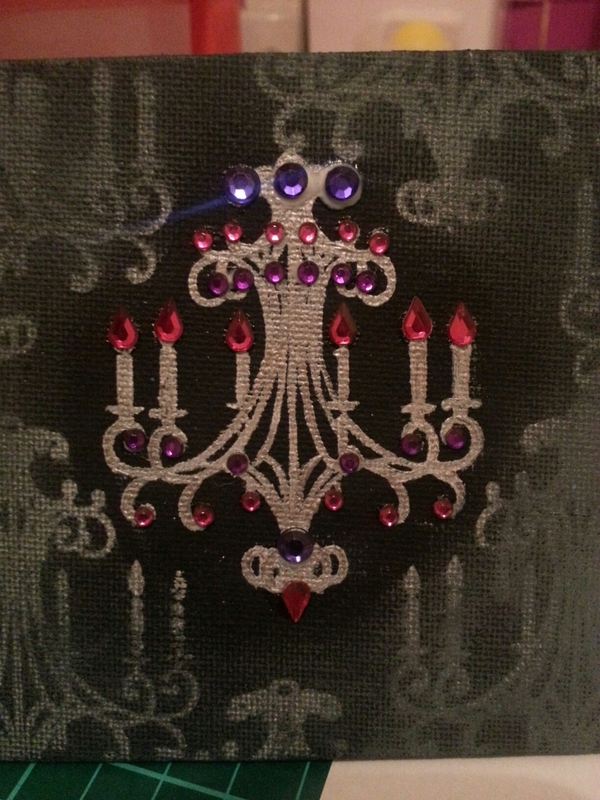 I painted the centre one with silver and attached the pink teardrops as flames as well as pink and purple rhinestones on every end. It didn’t take long at all, apart from painting over the lines, but if I had silver ink I could have done that, or used a silver sharpie. 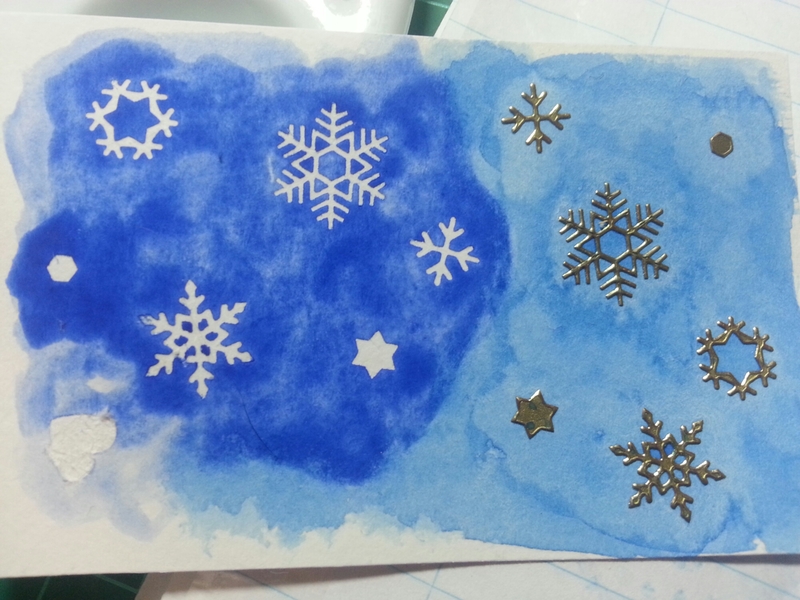 Maybe I could make gold and bronze ones to make a triptych. I think gold and green and bronze and blue would be nice.